As an endurance athlete, chances are pretty good that you’ve heard about the importance of maintaining electrolyte balance during and after exercise. If an athlete doesn’t successfully control electrolyte intake, a slew of medical conditions can arise from merely feeling nauseous or getting muscle cramps to severe conditions including dehydration and hyponatremia. Electrolytes are an essential part of fueling and a critical part of Tailwind’s formula. Let’s take a deeper look at what they are and why we need them. Electrolytes are minerals that form ions, or electrically charged particles, in the body. Salt, for example, is composed of one positive ion of sodium (Na+) and one negative ion of chloride (Cl-). When salt dissolves in water, these ions separate from each other. 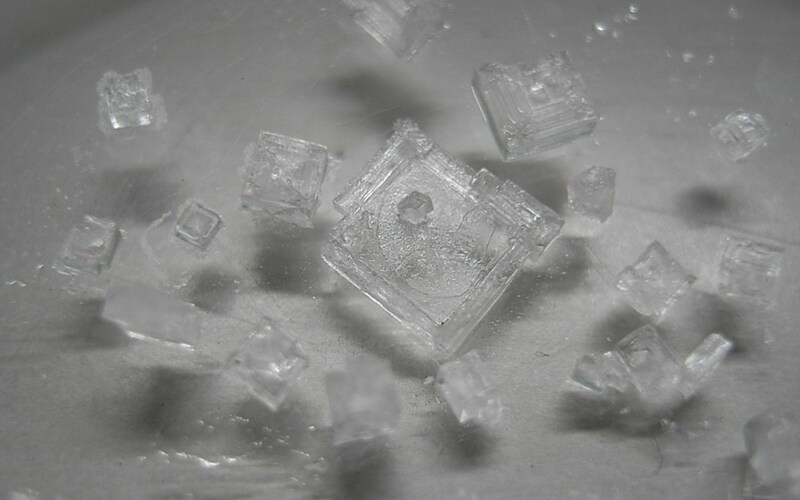 This new saltwater solution can conduct electricity and is known as an electrolyte solution. Electrolytes are in blood, urine, tissues, and other bodily fluids and our body cannot function properly without them. Some vital roles they play are: they balance the amount of water in our body, help move nutrients into our cells and help waste move out, balance the body’s pH level, and maintain optimal functioning of our nerves, muscles, heart and brain. If we are not careful, electrolyte levels can become unbalanced during long periods of exercise, especially if we are exerting ourselves in hot weather. First and foremost, we lose electrolytes through sweat. We can also develop too little fluid in our body by not drinking enough. The opposite is also true, and electrolyte levels can become diluted through excessive fluid intake. Although the mineral content varies from person to person, in general a liter of sweat contains 0.9g sodium, .2g potassium, .015g calcium and .0013g magnesium, and trace levels of other minerals. Sodium attracts and holds water, so the sodium in the blood helps maintain the liquid portion of the blood. Sodium is the major positively charged ion outside our body cells and is mostly found in blood, plasma, and lymph fluid. This creates one-half of the electrical pump that keeps electrolytes in balance between the intracellular and extracellular environments – with sodium outside of cells and potassium inside of cells. An excess of sodium in bodily fluids is called hypernatremia and is caused by having too little water in our body (typically caused by dehydration). Hyponatremia is when we have too little sodium, which can be caused drinking just water with no added electrolytes. The key things to remember? Stay hydrated and take electrolytes with your fuel. Potassium is the major positively charged ion inside cells, with sodium outside cells, and forms the other half of the electrical pump that keeps electrolytes in balance. It is extremely important for regulating heartbeat and muscle function, allows conductivity between cells as well as being a critical part of neuron transmission. We lose potassium when we sweat, so it is an essential part of our endurance fuel. Calcium is the most abundant mineral in the human body and is essential for the formation of bones and teeth. It is also critical for the transmission of nerve impulses, blood clotting and muscle contraction. During exercise, calcium-dependent enzymes produce energy from fatty and amino acid conversion. When exertion exceeds two hours, this can provide 60-65% of our energy needs. Since fatty acids are such an important fuel during endurance exercise, it is critical to have adequate calcium available to efficiently convert them into energy. If there is not enough calcium in our blood, the body extracts it from our bones to supplement the deficiency. The fourth most prevalent mineral in the human body, magnesium, helps maintain normal nerve and muscle function, boosts the immune system, maintains stable heart rate, stabilizes blood sugar, and promotes the formation of bones and teeth. As a matter of fact, it is necessary for over 300 biochemical reactions in the body and is essential to every cell of every living organism. Much like the interdependence between sodium and potassium, magnesium and calcium are also physiological partners. When calcium flows into working muscle cells, the muscle contracts. When calcium leaves and magnesium replaces it, the muscle relaxes. Many enzymatic reactions necessary for fuel conversion to muscular energy occur as a result of adequate magnesium. Planned and consistent electrolyte intake during endurance exercise is critically important. We don’t want to overload our body with too many minerals. Instead we aim to steadily maintain and optimize normal body function as we go. Tailwind Endurance Fuel has just the right amount of sodium, potassium, calcium and magnesium to replace losses.